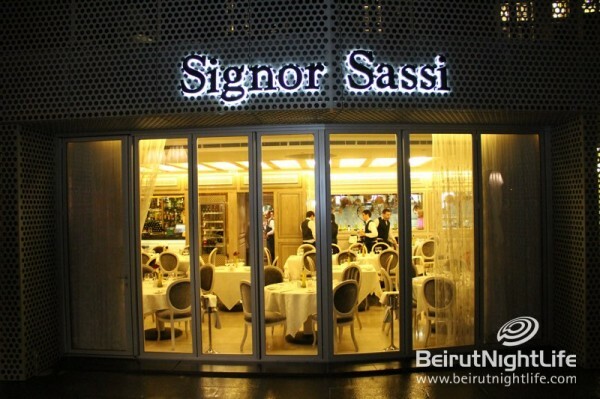 Signor Sassi is an Italian restaurant on the south part of Zeytuna Bay. Like every restaurant on Zeytuna Bay, they all have similar outdoor seatings; but the indoor decoration is true to the particular soul of every restaurant. Last time, I mentioned the toilet at St Elmos because I consider the toilet decoration to be one of the most important aspects of a restaurant’s interior. In fact, it shows how and to what extent the owners are concerned about their business image. Accordingly, Signor Sassi has used luxurious materials such as marble and wood to color their toilet in classical earthy tones. What I like more about the toilet is that there is space near the sink to place the handbags when you are washing your hands, which you can dry after with your own towel. We sat outside to enjoy the good weather; the tables were covered with giant beach umbrellas to protect from sunburn, but it was a bit of a deceit to not catch a glimpse of a sunray with a sun shining bright. The mini aperitif provided on the tables was buns, soft buttermilk, and olive tapenade. I noticed that the water they serve whether sparkling or normal is an Italian brand instead of local brand. Good point as to follow the theme and respect the roots of the restaurant or bad point as in not encouraging the use of local products. On the other hand, the service was irreproachable; the waiters welcomed us warmly and stayed around to take orders and help us. They spoke to us in perfect English. The menu titles were written in Italian, besides that I don’t remember quite much anything from the menu. I had the Tre Di Pasta as main course, which offers 3 different kinds of pasta: tagliatelle with Bechamel sauce, Gnocchi with Pesto, and Penne with spicy tomato sauce. I judged fair to order this plate—though I wasn’t very convinced from the beginning—because I could be able to judge three different aspects of their cuisine in this menu. If I had to vote, I would give my voice to the gnocchi and the penne. Although I appreciated the gnocchi the best, I thought that I could give it a chance to the penne, which despite the pronounced “picante” sauce was yummy. One spoonful of Pesto Gnocchi… soft, light, fondant, and it’s heaven already. At home, Ichallenged myself to replicate the same Gnocchi Pesto recipe of the restaurant—and it did work. We came to Zeytuna from the mountains and I remembered that we were craving food, all kind of food. For the long ride and for our greedy guts, dessert was all of question. Finally, I decided to make a safe decision, I chose a dessert I order most of the times in restaurants, crème brulée (to not be deceived or surprised). I was astonished with a surprising addition of taste, that of orange in the crème brulée. The crème was accompanied by a caramel ice cream scoop and lots of mini fruits. What I thought was a traditional grandma dessert turned out to be in fact a dessert bursting in fruity flavors. All in all, this restaurant definitely deserves a next visit!